Installing surveillance cameras is a convenient method to ensure security or, at least, to document any unwanted event, including burglary, robbery and theft. The usage of security systems using surveillance cameras is widespread and preferred by large and small retail shops for their affordability, customization, and for the low maintenance required by these systems as well as for the quality of the recorded footages. 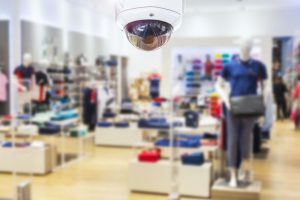 Reduced insurance costs – retail shops that have surveillance camera systems installed are less likely to get broken into or burgled, therefore many insurers offer insurance premium discounts to stores that use such advanced security solutions.